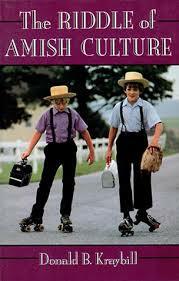 Amish culture research papers discuss the cultural traditions of the Amish and their society. Amish culture is part of the rich history and social fabric of the United States. Have the writers at Paper Masters explain the cultural traditions of the Amish and their society. From their beginning in the 1700’s in Lancaster County, Pennsylvania to today’s estimated 36,000 Amish living throughout the United States, an interesting and historically accurate picture of their culture can be written. The Amish have distinct beliefs about the physical body that influence many aspects of their lives. The Amish, as plain people, do not place any significance on adorning the body with worldly clothing and, even more importantly, it is prohibited. For the Amish, plainness is applied to the body in its entirety, which is especially evident in Amish women, who are not allowed to wear makeup and must strive to cover their bodies as much as possible. The Amish offer a “radical” notion that the church should not be associated with the secular state and that there should be a return to the primitive practices of the church that were to be found in the New Testament. This had its foundation in the battle that took place in England between the Catholic Church, Lutherans and Zwinglians. This placed Zwinglianism to the “left” of Luther. The Amish lay in turn to the left of the Zwinglians. They were firm in the belief that there was an inherent and irrevocable disjunction between the claims of the state and the claims of the church and they denied the proposition—endorsed by Catholics, Lutherans, and Zwinglians--that the conversion of the Roman Empire into a supposedly Christian polity had united the church and state under the Roman Church. For the Amish the disjunction could never be healed by any combination of church and state. The Amish Culture does not allow the possession of electronics and technology since it relies on electricity, which is forbidden. However, more and more, the Amish are allowing radios, televisions, automobiles, electric appliances and various other conveniences related to personal grooming. Mainly, the Amish feel it is fine to use these items as long as they do not own them or have them in their home. Modern conveniences are used in the communities beyond their own domicile. The Amish culture is unique and their existence in the United States is an anomaly of tradition and old world charm. Amish religion and culture have existed for many years and show very little sign of decreasing in their numbers. Paper Masters writes custom research papers on amish culture and discuss the cultural traditions of the Amish and their society.